This is a stylish sandal for warm weather. Aerosoles Women's At First Plush Sandal brings their comfort expertise with the soft, flocked foot bed and gentle lift. 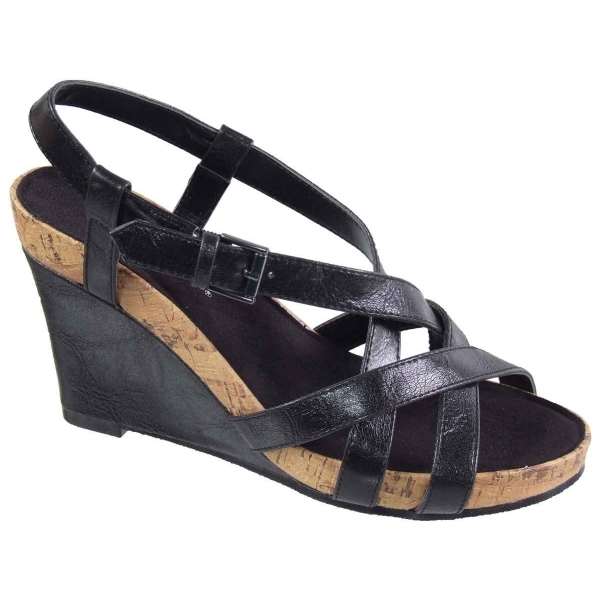 You also get a classic casual silhouette thanks to the simple straps design and sleek, wrapped wedge. Their plush foot bed and diamond-pattern soles are integral to their comfortable appeal. 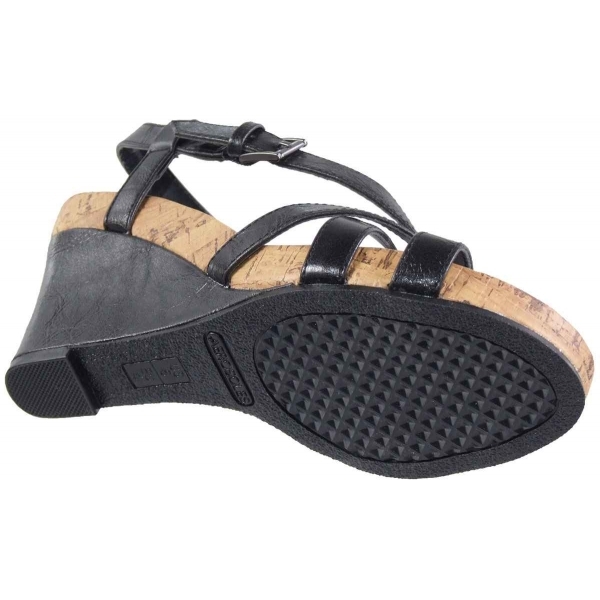 These women’s black sandals feature a synthetic upper.